Those of us that live in the SF Bay Area are pretty surprised when we get such perfect weather on a visit to San Francisco. Anyone remember the movie “So I Married an Axe Murderer” with Mike Myers? I swear they must have made a deal with the devil for the fantastic weather in the City throughout that entire film. As luck would once again have it, we enjoyed the same weather last weekend in the middle of November! While others are starting to deal with snow and packing up their bikes for the winter, I was running around like it was June in my shorts and t-shirt snapping pics in and around Union Square in SF. 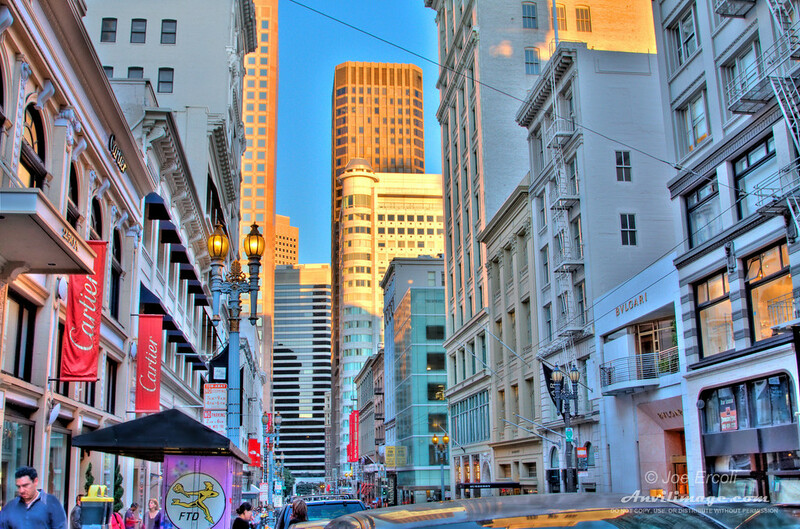 This entry was posted on Tuesday, November 18th, 2008 at 10:08 am	and is filed under Blog, Photos and tagged with architecture, downtown, HDR, high rise, post st, San Francisco, skyline. You can follow any responses to this entry through the RSS 2.0 feed.